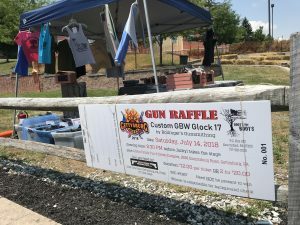 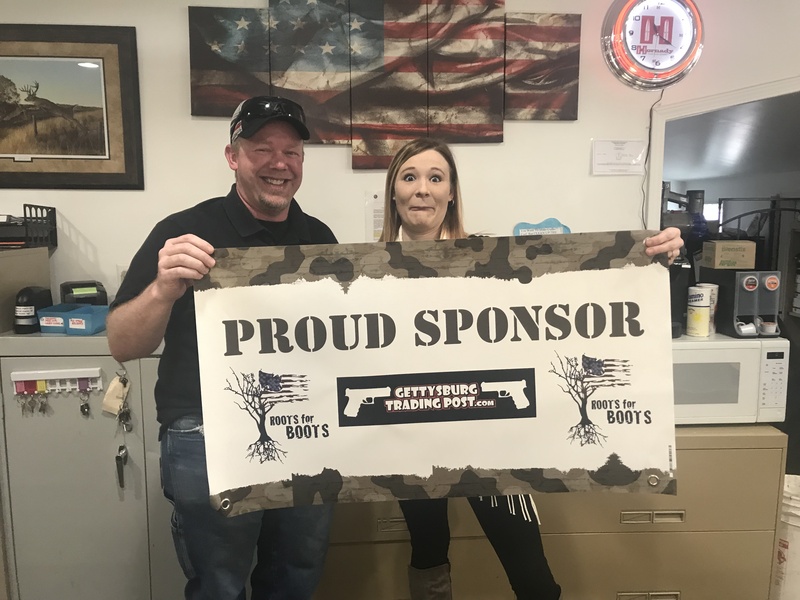 We can always count on Shawn for generous sponsorships that support our Grassroots Girls & Guns classes as well as items for our silent auctions! Fierce supporter of our cause, he is pictured here with one of our favorite Trading Post employees, Tiana. 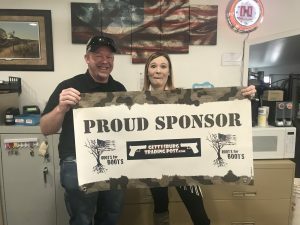 … and they’re a ton of fun to partner with! 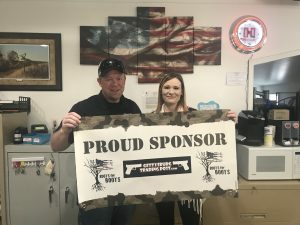 They have more than you think! 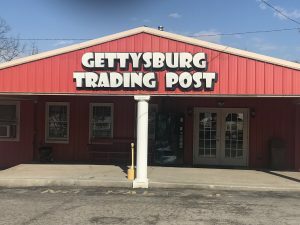 Located at 2222 York Road in Gettysburg, you will always find a friendly and knowledgeable staff to find just what you are looking for. 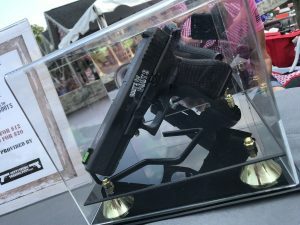 and they always go the extra mile by making the gun super special! The one pictured above was engraved with the Roots for Boots logos as well as those of Gettysburg Trading Post and Gettysburg Bike Week! 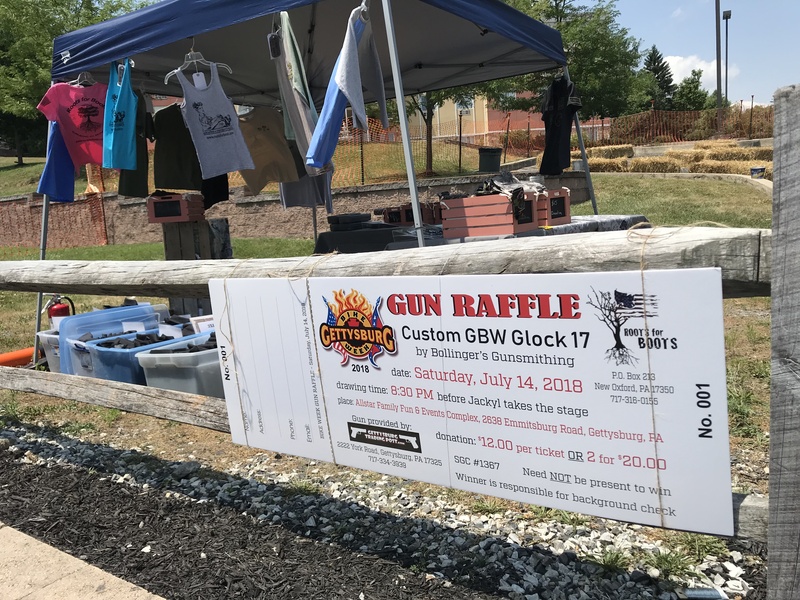 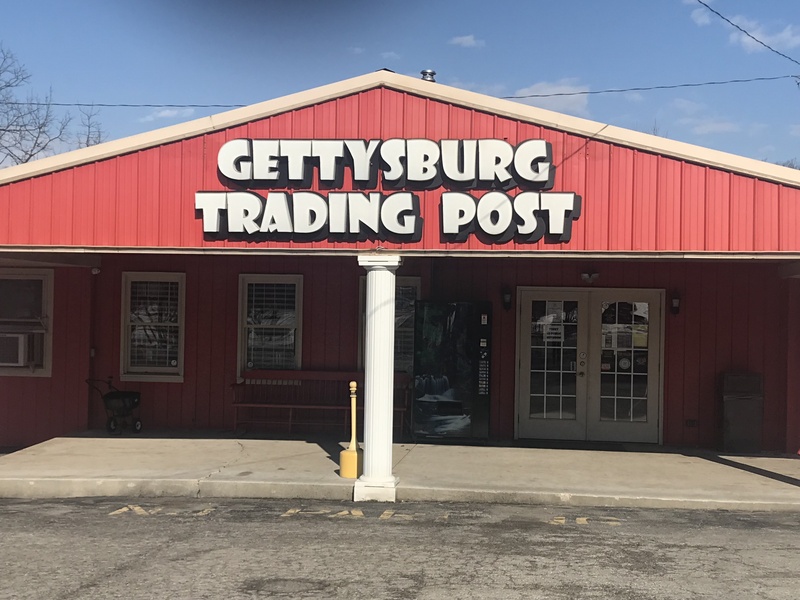 The Roots for Boots Team is very grateful for the support and partnership opportunities we have had with Gettysburg Trading Post … looking forward to more good times with them!